We interrupt this A to Z for an important announcement. I love gamebooks. I hope that I give that impression because I really do. I would write gamebooks all day, every day if I could. Since I've started this blog, I've also been privileged to meet many other people who share a passion for gamebooks, RPGs and other great stuff. I enjoy their blogs and I enjoy communicating with them because they are so nice and helpful. As well as providing so much high quality material, they also sell stuff and I buy it gladly. Yes I do. It's not even lots of money. You can buy lots of high quality stuff for less than £1 ($1.59) on RPGNow so it does not cost me a lot to show people my appreciation. So, if you want a load of high quality things for low low prices, check out the following links. Scott Malthouse: Scott has excellent blog posts regarding a multitude of RPG and gamebook related material. 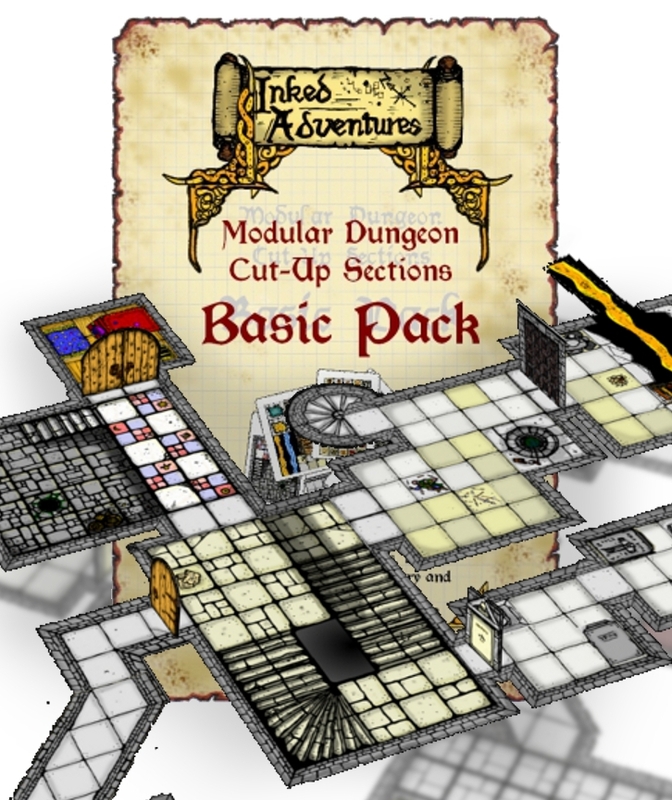 He is giving away his Unbelievably Simple Role Playing System (USR) and he is selling his excellent TnT solos and GM adventures. These excellent items are either free or very low cost, so buy them! I highly recommend that you buy his products here. I will be interviewing Scott in my N post this month. Billiam Babble: Billiam is an excellent artist with a wonderful blog. He also has a second hand gamebook shop and a store where you can buy his wonderfully well hand drawn and detailed dungeon sections. All these items cost very little so buy them! I will be interviewing Billiam for my K post this month. Tunnels and Trolls publishers: Here is a list of all the official Tunnels and Trolls publishers and their wonderful wares. RPG Now and DriveThru Stuff: To be honest, I don't really know the difference between these sites. You can search both of them for items within a particular range of price. I searched for items that cost between $0 and $1.60 and got over 9000 hits so there is something for everybody for a very low low cost. For guidance, you could buy the Poor Gamer's Almanac from the Alea Publishing Group. So once you have filled your carts with wonderful stuff, you can read about why I like selling things. Just as I give people money if I think that they are worth it, I charge people money because I think I am worth it. I think that I give plenty away for free and I give it away gladly because I want to share my love for gamebooks. So when it comes to things that I have put a lot of effort into, I charge people for it because I think I deserve something for my work. If you think I'm worth it, you can buy my stuff. If not, you can enjoy my free stuff. This means that if I am charging for something on my RPGNow store, I have not given anyone permission to share it for free. If you see someone sharing something by me for free and you check my store to find that I am charging for it, then they are doing so without my permission and you should assume that they are doing the same with anything else that they are giving away for free. I urge you not to support such people. They are second handers who do not contribute anything good to our community but instead live off the value produced by other hard working and talented people (go Objectivism). I am saying this because I have recently found out that someone has taken a couple of my TnT solos and is giving them away for free, but I thought that I would also use this as an opportunity to highlight all of the talented individuals who I've had the pleasure to meet and their wonderful products. So let's get rid of the second handers and go and buy the producers' stuff (such as the products of anyone I'm interviewing this month) and show your appreciation of them. Excellent post, and many thanks for the shout-out, I'm lucky to have supporters like yourself and I'll gladly buy everything you put out. It's such a shame that some people have to rip others off, even though most of the time their products are labours of love rather than for profit. We must synchronise our mutual praise for each other more often. ;) Thanks muchly. Anyhow, keep up all of the great work.